Nov. 29 – Kingston Every year, once mid-terms are out of the way, ComSoc reps are in high gear, getting ready to present six conferences and competitions in November. These events attract business students from across Canada and around the world. Nov. 19, 2012 – Kingston More than 100 Commerce students who received scholarships and academic awards this year were lauded at a reception in the Goodes Commons. 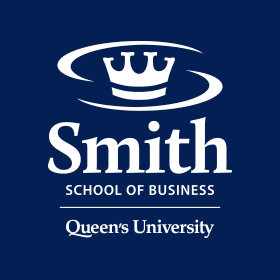 KINGSTON, ON, Nov. 15, 2012 – For the sixth consecutive ranking season, Queen’s School of Business’ MBA program holds the number one spot in Canada in Bloomberg Businessweek magazine’s biennial MBA rankings. Nov. 2, 2012 – Kingston Former colleagues, friends and family of the late Frank Collom (who passed away in 2005) gathered to mark the dedication of a classroom named in his memory. Donor Paul Pancham, BCom’89, MD’94, paid tribute to Prof. Collom in his remarks that recognized the pivotal role the former chair of the Commerce program had played in Paul’s success in pursuing a medical career. Oct 12, 2012 – Kingston. Can big business really change the world? Can grassroots solutions from one country be exported to solve social problems in others?